The U.S. Medicare Handbook is photographed Thursday, Nov. 8, 2018, in Washington. Seniors in many states will be able to get additional services like help with chores, safety devices and respite for caregivers next year through private ‘Medicare Advantage’ insurance plans. It’s a sign of potentially big changes for Medicare. In a harbinger of potentially big changes for Medicare, seniors in many states will be able to get additional services such as help with chores, safety devices and respite for caregivers next year through private "Medicare Advantage" insurance plans. The shift reflects a growing recognition that simple help at home can have a meaningful impact on patients' well-being — and reduce some costs for taxpayers. A couple of hundred dollars to install grab bars in the shower can prevent a fall leading to a broken hip, a life-changing injury. The newly covered services are similar to what people might need if they required long-term care, said Howard Gleckman, a senior researcher at the nonpartisan Urban Institute think tank. "It begins to break down the wall between long-term care and Medicare, which with very few exceptions, has never paid for long-term care." The government has rolled back the amount of time to select a health care plan under the Affordable Care Act this year, but enrollment is already up over the same period last year. NBC's Tracie Potts reports. There has to be a health-related reason to qualify, and costs will vary among plans. In some plans, there's no added cost. But limits do apply. For example, a plan may cover one day per week at an adult day care center. 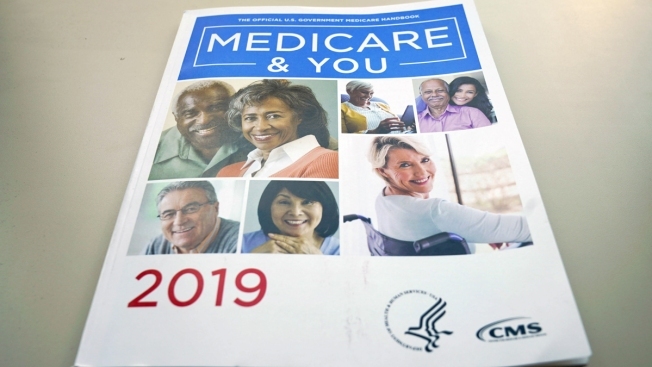 Nearly 23 million Medicare beneficiaries, or more than 1 in 3, are expected to be covered by a Medicare Advantage plan next year. The private plans generally offer lower out-of-pocket costs in exchange for limits on choice of doctors and hospitals and other restrictions such as prior authorization for services. It's a growing business for insurers. Medicare Advantage open enrollment for 2019 ends Dec. 7. But it's not easy to use Medicare's online plan finder to search for plans with expanded benefits, so beneficiaries and their families will have to rely on promotional materials that insurers mail during open enrollment. The new benefits take that to a higher level, with Medicare's blessing. 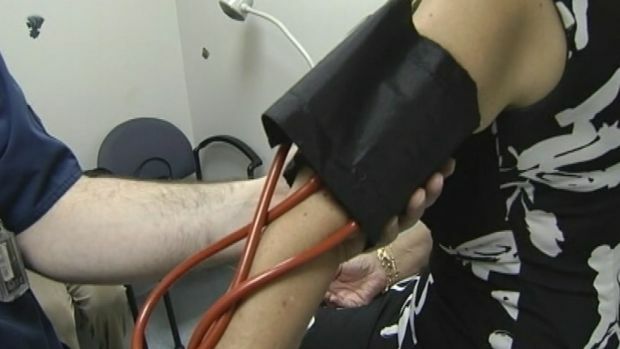 "It is a big concept, in the sense that it is officially encouraging plans to get across the line into the many, many things that affect the health and well-being of beneficiaries," said Marc Russo, president of insurer Anthem's Medicare business. "I, for one, who have been in and around Medicare for decades, believe it pays." 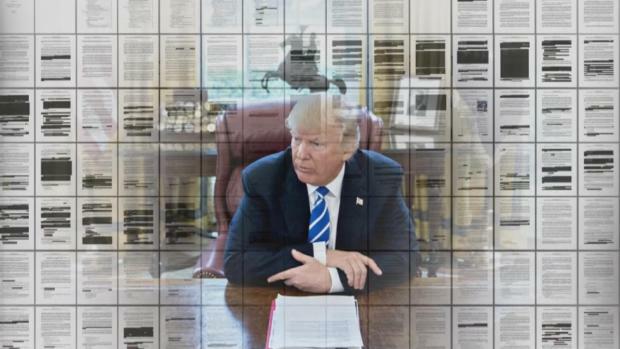 President Donald Trump is expected to sign an executive order allowing small businesses to buy health insurance plans that may not meet Obamacare standards as a way to push through health care reform with lower-premium plans. 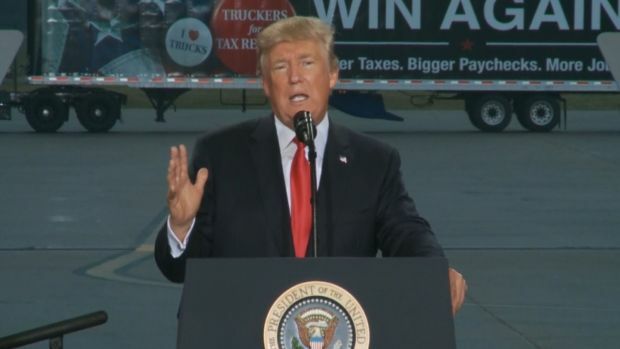 Speaking in Harrisburg, Penn., on Wednesday, Trump also directed an order to Congress, telling lawmakers that his proposed tax reforms must be passed. Insurers under Anthem's corporate umbrella are offering different packages in 12 of 21 states they operate in. They can include alternative medicine, like acupuncture, or adult day care center visits or a personal helper at home. Still, Medicare's opening is no substitute for full long-term care coverage, which many people need for at least part of their lives and remains prohibitively expensive. Seniors trying to get long-term care through Medicaid — the program for low-income people — must spend down their life savings. "Medicare policy has not kept up with the times," said Sen. Ron Wyden, D-Ore., one of the authors of bipartisan legislation seen as a catalyst for expanded services through Medicare Advantage. Wyden said he's working to bring similar options to traditional Medicare, which is still the choice of 2 out of 3 seniors. "Clearly this is going to have to be an effort that is going to have to be built out," he added. The changes represent a rare consensus at a time when health care issues are among the most politically divisive. Republican and Democratic lawmakers, as well as Seema Verma, the Trump administration's Medicare chief, are pulling in the same direction. "The guidance came out fairly late in the annual planning process, and that's one reason why some of these benefits may start out small," said Steve Warner, head of Medicare Advantage program development for UnitedHealthcare. Consumer advocates recommend that seniors carefully weigh whether Medicare Advantage is best for them. If they don't like it, they can go back to traditional Medicare, but those with a pre-existing condition may not be able to buy a "Medigap" policy to help cover out-of-pocket costs. They can also switch to another Medicare Advantage plan. Medicare doesn't pay the insurers more for offering added benefits. Under a complex formula, they're primarily financed out of the difference between bids submitted by insurers and Medicare's maximum payment to plans. If the companies bid below Medicare's rate, they can return some of that to beneficiaries in the form of added benefits. Costs for beneficiaries may vary. Some will face no added costs.